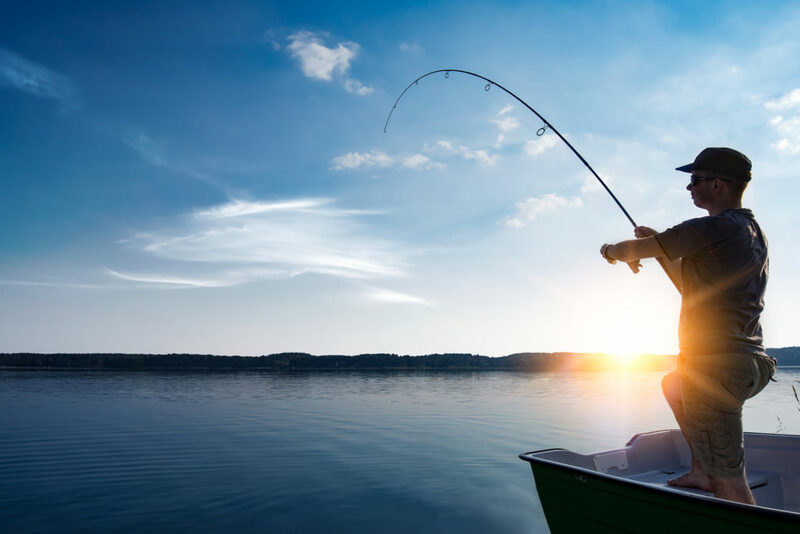 Have you ever considered the similarities between fishing and business? It takes discipline and patience to be able to catch anything—whether it’s a client or a carp. The business landscape is a sea of challenges and opportunities where entrepreneurs can either sink or swim, return home empty-handed or land the big one! For a hefty catch and great results, there are key steps to follow in both fishing and managing a business. It’s not as easy as sitting on the water’s edge and waiting for something to take the bait. Below are 10 tips to keep in mind when fishing or launching a business. The best way to prepare before heading to the water is to study up. You search online. You review reports. Maybe you even conduct your own surveys. Better still, you consult an expert to mentor you. As you plot out your business launch, you’ll be reviewing the numbers, surveying your market and keeping your ears open. 2. Carefully choose your location. Location. Location. Location. You start fishing—literally and figuratively—in the area you are most familiar with and can achieve the best results. Where’s the fish? Where are your potential customers? Whether you’re building an online business or a brick-and-mortar store, make sure you identify your target audience and where you’re most likely to catch them. 3. Don’t ignore the laws. You don’t just set camp wherever you want and then cast your line. There are laws to regulate fishing. Do you need permits and paperwork? Before you start operating your business, consult with a lawyer to make sure you are within legal bounds. Prepare your paperwork so that you have nothing to worry about once sales starts rolling in. 4. Prepare for the worst. When you head out to fish, you have a sense for the weather, the water conditions and the surrounding area. You make accommodations for your safety, bringing the right gear and wearing the proper clothes. Likewise, smart business owners make a plan—and then prepare a plan B, plan C, and so on. You have to put systems in place. Get the right tools. Hire the right people. Lay your safety nets. Fill any gaps or loopholes that may ruin your endeavor. Improvise and innovate. 5. Select the best resources. You research the best equipment needed. You make a checklist of what you’ll bring on your fishing excursion. And you equip your business with the right people, systems and tools to help you succeed. Hone your skills and those of your people. Join peer-group organizations like EO, where you can learn from experts and fellow business owners. 6. Make alignment a priority. You assemble your hook, line, sinker, bobber and bait. You make certain the rig is put together properly and that all the pieces are aligned toward one goal. The team you assemble for your organization should be working together to sell your product or services, grow the business and establish a solid culture. Make certain every individual understands your vision and that your staff is operating in unison. Communicate your objectives and vision regularly and promote teamwork to ensure success. 7. Identify the most effective bait. Identify and define your ideal customers. How do you lure them? What are the available strategies to establish good relations with them, entice them toward your business, and make them loyal clients? Once you understand their needs, you will know how to penetrate your market and position yourself to dominate that space. Choose the right bait and send it where it will be most effective. 8. Cast the line early and often. Network. Be involved in your community. Feel the pulse of the market. Bottom line: You can’t catch a fish if you don’t cast the line. Establish milestones and objectives. Document and review numbers. Get feedback from your internal and external stakeholders. Listen to their advice, and then determine how you’ll adjust your efforts and move forward. Keep in mind that most entrepreneurs have experienced setbacks, and the most successful learn from their failures. Fishing or business—both are often waiting games. So, be patient as your grow. And as you embark on this entrepreneurial endeavor, do everything in the right season and for the right reason! The original version of this article was written by Claire Algarme and appeared on EO Melbourne’s blog.